Race Review: YOLO Run 2016 [10 KM] (by KenJoe) | JustRunLah! You Only Live Once – YOLO. Easy to understand, a catchy phrase that can appeal to most, if not all. This is the name of the run that started in 2015. 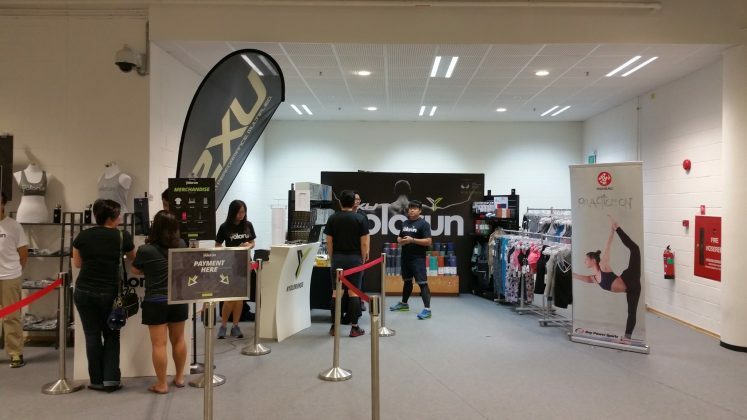 The company behind the run is Singapore-based garment manufacturer X-Change Republic and the founder of this company is Xavier Bay, a 26-year-old Singaporean, who started the company right after he completed his A levels at age 18. His entrepreneurship story is indeed an inspiring one. 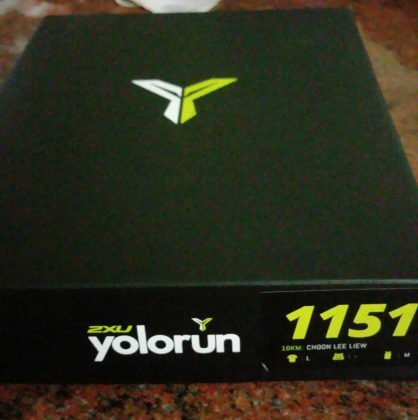 Back in 2015 YOLO Run, for every runner who ran shirtless then, a T-shirt would be donated to an underprivileged child from a developing country. 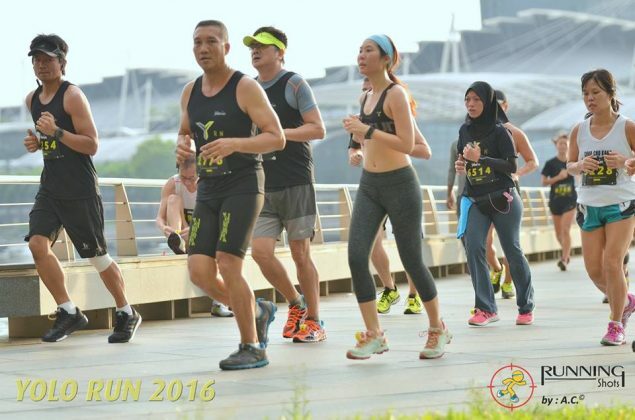 I started running in late 2014, and got the ‘race’ bug in 2015, completing average of 2 per month. Carpe Deim was my motto for the days then as I woke up to a fresh morning run almost every day. YOLO appealed to me then. I thought it would be a good idea to challenge the mindset to do a shirtless run in public, and in the process contribute something back to ‘society’. 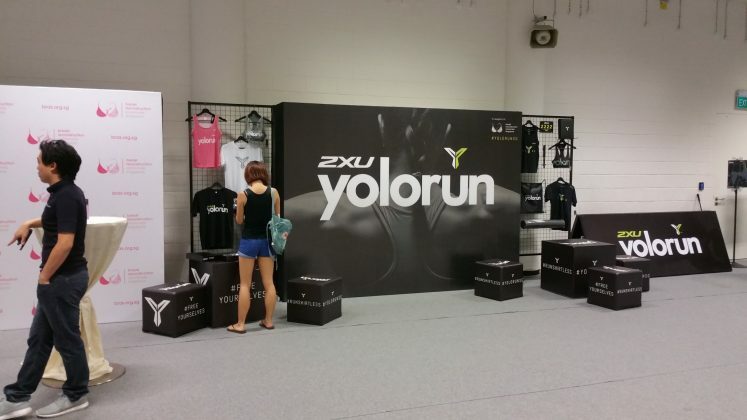 So I just signed up in 2015 for the fun run then. 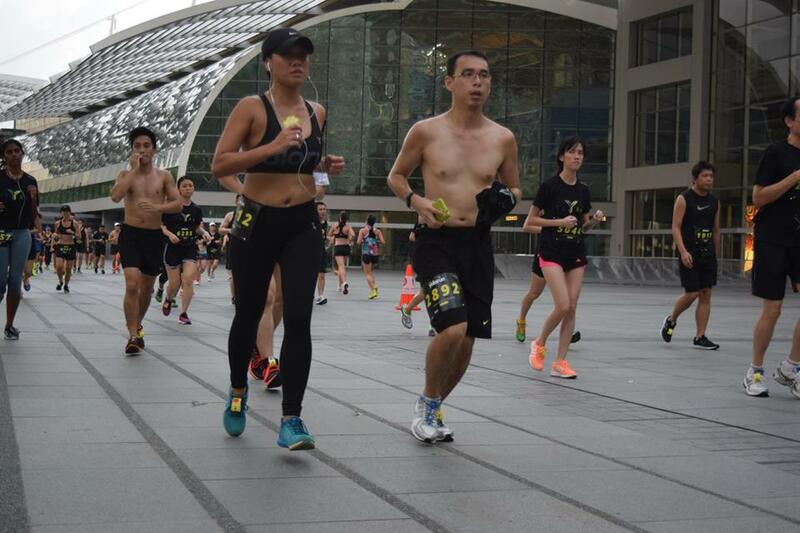 It was with some trepidation though that I took off my T-shirt back then because when I reached there early in the morning, I didn’t see any man who was shirtless in the baggage deposit queue, though the women seemed more sporty in their attire. But for the cause, I just went ahead. Nearer the start time, other men appeared shirtless but it seemed that men were more shy in that event. But by the end of the run, everyone has also shed off his/her inhibition to a large extent. I bumped into my neighbor who took a short video. 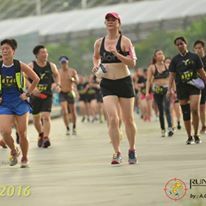 Was a bit shocked to watch the video after the race as I thought she had taken a photo. 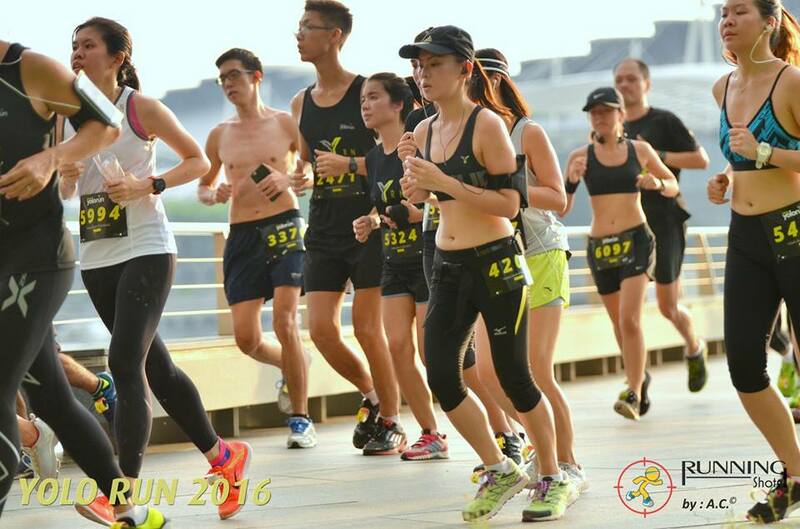 It was then a 5 km fun race and we just needed to put on a wrist tag which was rather smart. I also didn’t notice a photographer who took a fairly close up shot too. The race was breezy and I did enjoy the novelty and liberty of running shirtless in a race, oblivious of my ‘flabbiness’. This year, same YOLO run, but different format. There is still a 5 km run but additional 10 km competitive run. 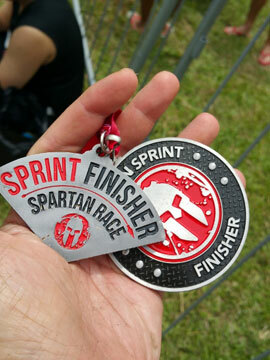 For the competitive race, there is a nice unique medal. 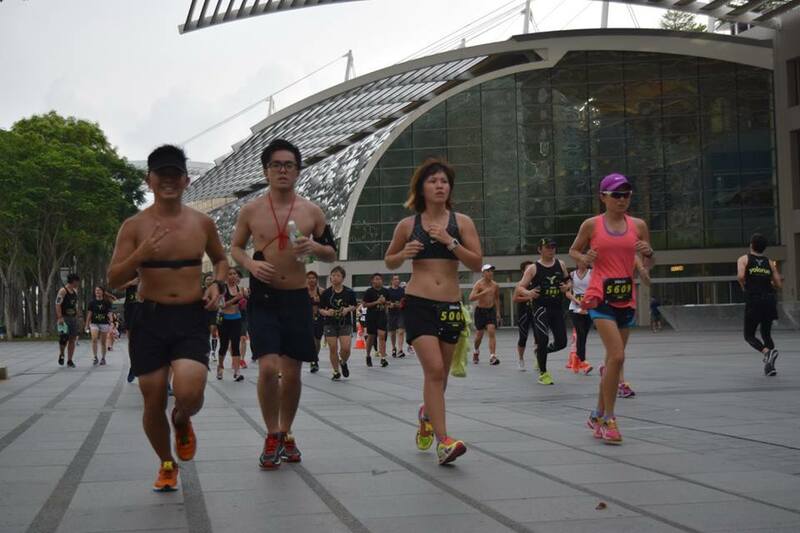 For each shirtless runner, X-Change Republic Pte Ltd would donate a sports bra to the BRAS (Breast Reconstruction Awareness Singapore), which is essential in the recovery process of patients. 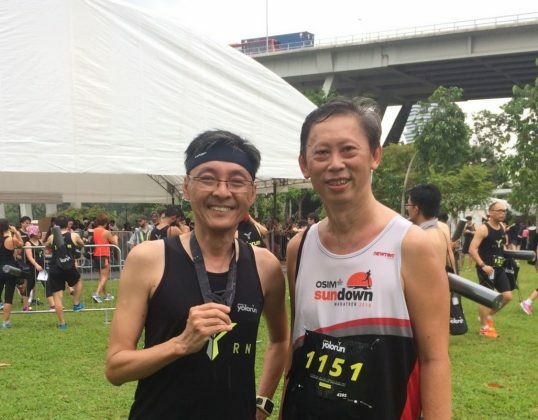 For those who are keen to just get a review of the race, immediate next few paragraphs are my impressions and what I gathered too from some of my running friends and own observation. I participated in the 10 km race so it’s generally focused on that. Race Registration was $55 for Early Bird for the 10 km category. 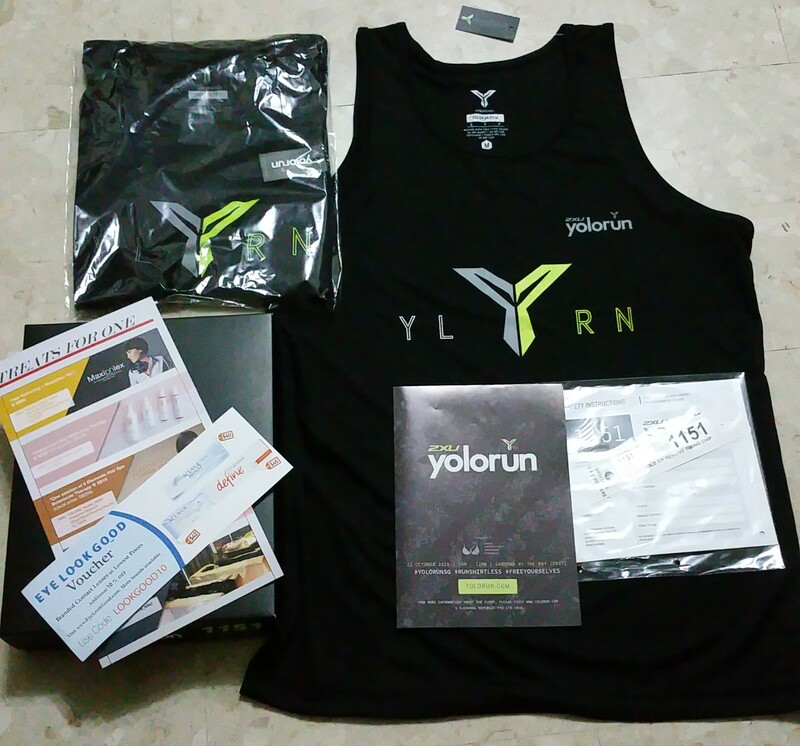 This was good value for your money as you get a singlet (or a sports bra for female), a Tee-shirt, a draw-string bag, a Yoga-mat, a nice customized box amongst the usual promotional items. There were lead up sessions (some complimentary) to the race but I was too busy with life’s mundane matters to attend. I believe they are useful but can’t comment further as I didn’t take part. 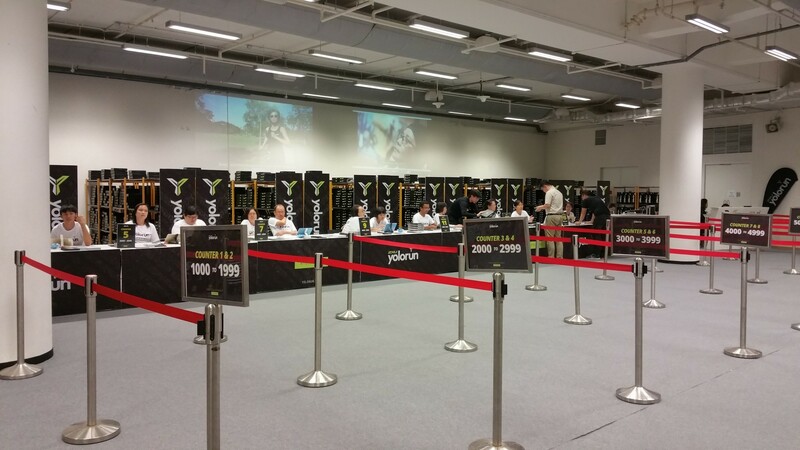 Race Entry Pack Collection was done at Sports Hub, OCBC Arena, a bit distant but a nice place to collect and no place is really that far in Singapore, especially if you are a serial race runner. Collection was done within 5 minutes for myself and there were the usual promotional setups but pretty decent display for participants to take photos to enter the photo contest too. The surprise was that the items were packed in a nice personalized box with your bib number and name sticker pasted. Race Venue was at Gardens By the Bay, Bay East Garden (near Tanjong Rhu). 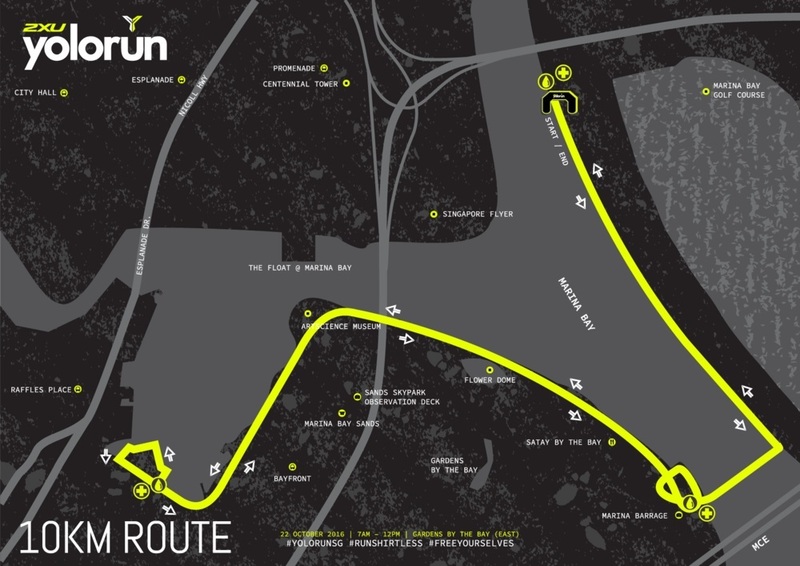 This was a tricky venue (lack of car parks near there) but not unfamiliar to most serial runners again. 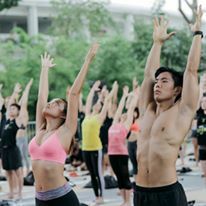 Shuttle buses were provided at limited MRT stations to venue for a fee of $4. Free Shuttle Buses were provided too near Stadium MRT. This was great except that on race day itself, long queues were seen forming at the Stadium. 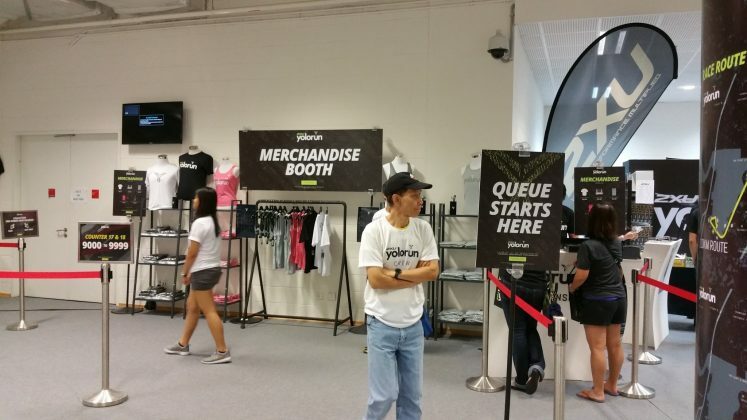 Big number signs could be shown at each queue to indicate the range or just the counter number. I saw that after queuing for a lengthy time, some participants were redirected to another counter. It could be that they had forgotten which queue they had been in previously. The net result is that the other queue then had some people redirected there waiting to be served while the rest of the folks in the queue started to wonder. The bags were just thrown a bit randomly into the racks behind at least at the counter where I had queued. They were not in any order so the volunteers needed to search every shelf. They asked for the description of your bag when collecting, which caused further delays. The number of volunteers were inadequate, I believed. There was only one at the counter where I collected mine, though I saw two at the one next to him. It would have been ideal if the tent set up was such that there is another queue on the opposite side for collection. But I could understand the lack of space and resources. Still, if the bags were arranged more in order, in the running sequence they were issued out, it would have probably relieved the frustration of the long wait at the baggage deposits/collection. 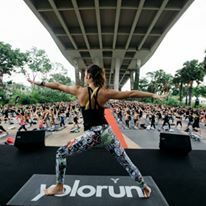 After Race : the event repeated its successful debut by having the Yoga session (Stretching) by influential Yoga Instructor – Liv Lo, sponsored by Manduka (as promoted). I didn’t stay back for the session but as per last year’s session, witness the abundance of participants from the photographs. 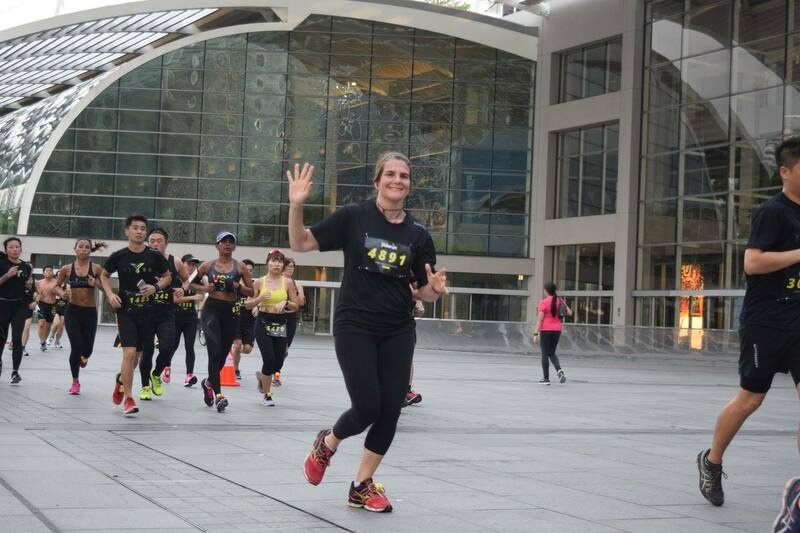 I believe this was probably one of the most participated after race events compared to the other races. 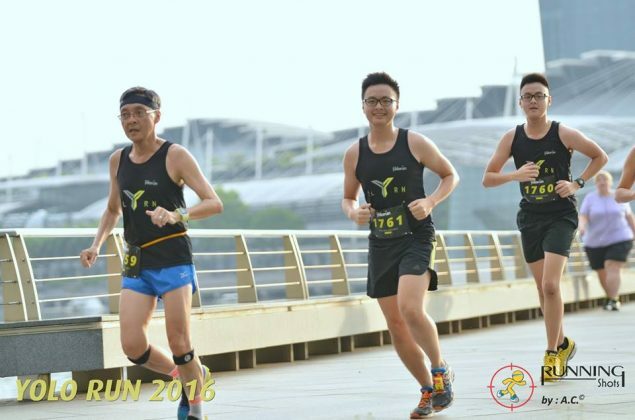 Speaking of photographers, this event is embraced by many in the scene : Running Shots, Runcapture, YoloRun, Run Society (Jackson Teo), and Umar AK. I’ve shared some of their great efforts too in this blog and you may find yourself in their FB pages. Thank you for all the nice photo shots ! 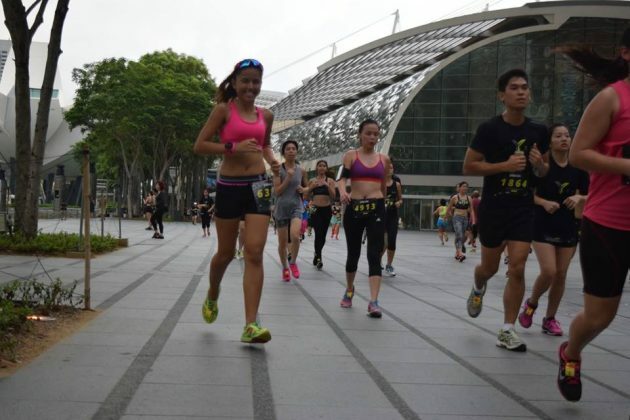 (Photo Credits are due to them for the running scenes.) 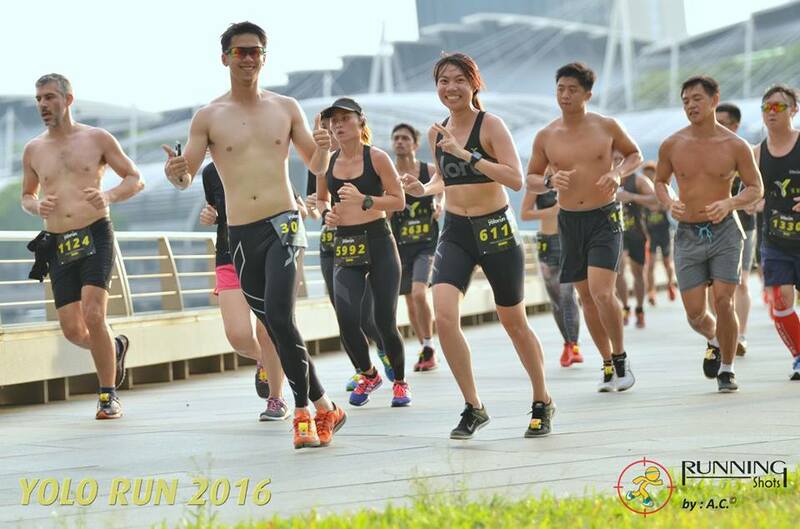 This race will get a full 5 stars for photo coverage if this is high in your requirements for a race. Race Results were announced on YOLO website 2 days after the event early Monday morning. An email was also sent by SpaceBib. Communication and marketing gets high rating too in this race. On the ground communication for transport could be improved to avoid too long waiting queues. 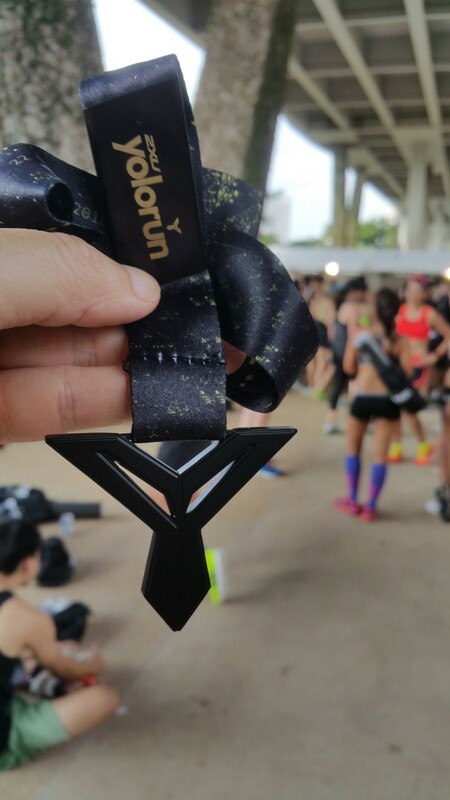 The Race Medal is quite unique (see further below). The above is as objective a review as I could do. What follows is more my personal account of my 25th event’s medal this year or the 25th challenge. As it was, I caught a bad cold in the week before the race after the Swim For Hope. Though the cough and bad throat seemed to disappear on Wednesday, they came back on Thursday again. So You Only Live Once philosophy came a bit differently this time to me. I had to be in good condition still for the other challenges that I still had on hand, a TOGO1050 that was ongoing (cycle 1050 km in 9 weeks) and preparation for the Spartan Beast, I decided I had to wear my ‘most skimpy singlet’ – not a shirt, for this race and not risk worsening the cold. It was also good advice by my other ‘adventure’ buddy Francis. He couldn’t make it for the race due to another commitment but my other running buddy SY turned out in full force with his twins. His blog is out and he had decided to YOLO run with his twins, which would be one of the precious moments when he looked back on his races for the year, I’m sure. 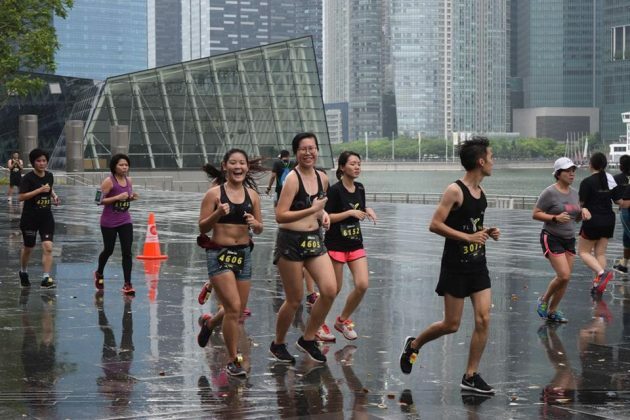 So just as well too, towards the end of the race, there was a drizzle but I enjoyed the run, much more than expected as I had to cover the Marina Barrage twice. 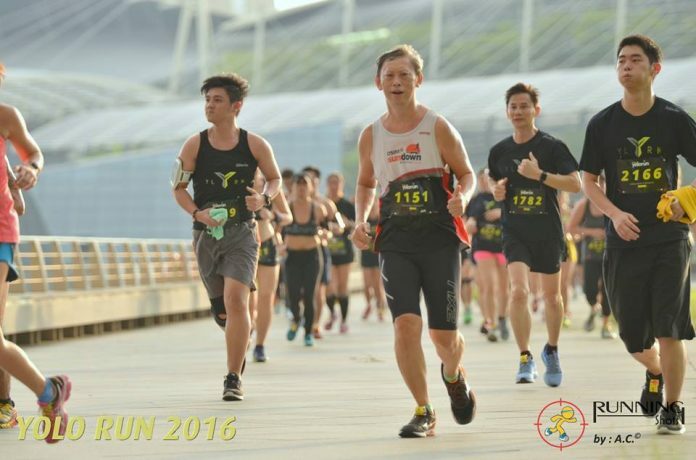 I didn’t PB for this 10 km race but am getting back slowly after the past series of injuries. 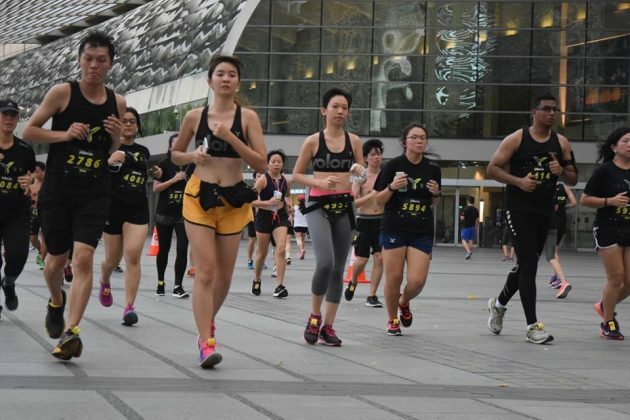 The difference for this race was that we collected the drawstring bag, the yoga mat and medal at the finishing line with a can of energy drink. 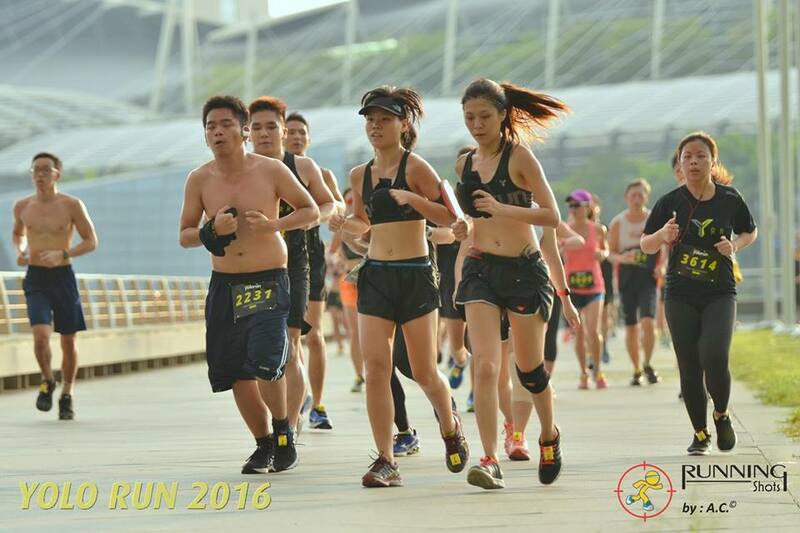 The number of registered participants seemed close to 5000 for the 10 km, quite sizable for their first time organized competitive event. I believe that there is a certain level of attraction for those who wish to run ‘free’ perhaps for once a year or see it as a motivation for themselves to get in shape to run shirtless. For others, it could be the novelty of doing something different. 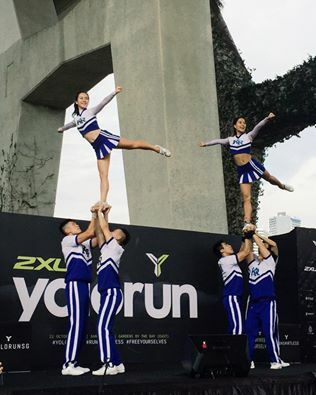 After the race, there is the popular yoga stretching exercises. Before that too, there was some fashion show. All in, I believe the participants generally did enjoy the event to a large extent. For the fans, I’m sure they would look forward to next year’s and hopefully too, there would be other surprises. 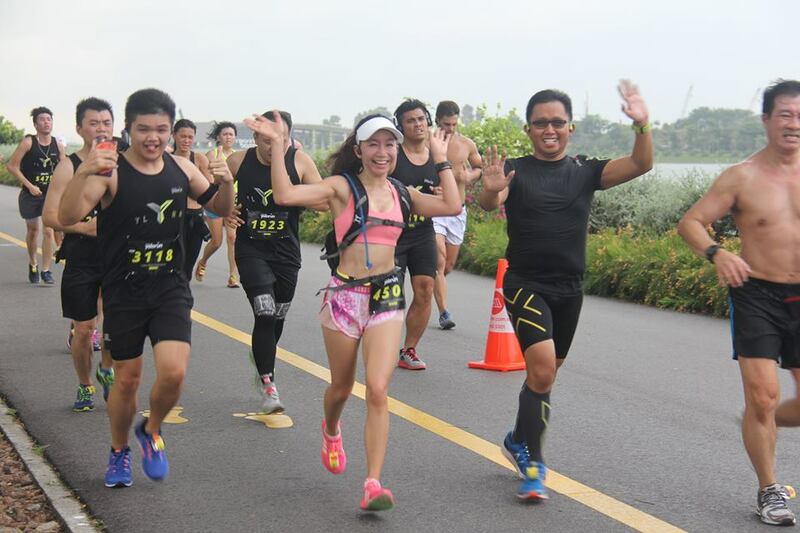 Till the next challenge, safe and happy running!